PLEASE NOTE: During the month of March 2015 and possibly extending into April/May 2015, heavy construction will be taking place on this website behind the scenes as it "migrates" to new editing software. Please be patient with us during this period if occasionally some pages take on a strange appearance, or if updating seems to be a bit erratic. All efforts will be made to maintain the integrity of the page with the full spring 2015 schedule for the seminar series Topics in the Aesthetics of Music and Sound: Mostly Metal here, but it will nevertheless be a good idea also to keep an eye on our Facebook group here and the regularly occurring announcements of events on it during this period. Thank you for your patience! Keith Kahn-Harris. Dr Keith Kahn-Harris is a lecturer at Birkbeck College and Leo Baeck College. A prolific writer on metal, he is the author of Extreme Metal: Music and Culture on the Edge (2007) and the co-editor of Heavy Metal: Controversies and Countercultures (2013). His website is www.kahn-harris.org. Abstract: An important theme in metal studies scholarship has been the examination and contestation of ‘capital’ within metal scenes and the hierarchies that derive from them. Gendered, heteronormative and race-based forms of capital in metal have been deconstructed by scholars rooted in metal scenes, forming part of a wider opening-up of metal to previously marginalised groups. While all this is to be welcomed, other forms of subcultural capital circulating in metal scenes have not been subject to the same degree of challenge. Competence, musical skill, innovation and knowledge - amongst other skills - are valorised in metal scenes in ways that create forms of subcultural capital ‘indigenous’ to them. As part of a wider project of rethinking metal aesthetics and metal scenes within the context of what I have termed a ‘crisis of abundance’, I have tried to imagine ways in which metal’s reliance on subcultural capital could be destabilised. In this lecture I will examine how a reconsideration of ‘incompetence’ and ‘mediocrity’ can open up new forms of metal pleasure as well as raising ironies, paradoxes and questions that help us rethink what metal might become in the future. Poster available as pdf file HERE. Facebook event page available HERE. Audience participation via Skype is also welcome. FOR SEMINARS MARCH 12 - MAY 7, please HERE on this site or our Facebook group HERE. Karl Spracklen is a Professor of Leisure Studies at Leeds Beckett University, UK. He is the Editor of Metal Music Studies and the Secretary of the International Society for Metal Music Studies. He has extensive research interests around leisure spaces and leisure identities, and has contributed to debates around leisure theory. He has over seventy publications, including three research monographs, the most recent of which is Whiteness and Leisure (2013), published by Palgrave Macmillan. Abstract: In the sociology of leisure, popular music can be identified as a site of intentionality, where identity is performed and negotiated in the social and cultural spheres. This intentionality is visible in the discourses surrounding authenticity and belonging in extreme metal. Scholars in the sociology of leisure and the sociology of popular music recognise the challenge to such intentionality by the biological fact of age. In this seminar, I will explore how key bands of the second generation of black metal (the ‘Norwegian scene’) have maintained or repudiated their misanthropic, Satanic beliefs and their original, dissonant style. 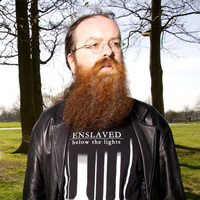 I will examine published interviews with representatives of Burzum, Darkthrone, Enslaved, Immortal, Mayhem and Ulver and argue that the challenge of ageing and the conservative nature of the extreme metal scene have limited the ways in which the identities of the members of these bands have evolved. For some bands, the ageing process has led them to question the Satanic ideologies and stylings of the 1990s. For others, their authentic kult credibility is dependent on them maintaining continuity with the intentionality of their youth. This seminar will use the discussion about ageing black metal bands to make wider contributions to the sociology and politics of leisure and ageing. What Is Progressive about Progressive Metal? Abstract: There is a seeming self-contradiction in having a musical genre, whose traits are described as progressive: Invariably, any trait that is repeated enough times to become a genre trait, stops being progressive in the original sense of the word. Some theorists of progressive rock and metal (nowadays often simply labeled prog) hold that “progressive” does not refer to the music being innovative, but is rather a description of the typically epic or rhapsodic structure of the music – the music, so to speak, progresses frequently from one theme to another. A different explanation for the term could be the reverence of most prog artists towards the progressive rock bands of the 1970s and early 1980s. This, however, would merely raise the question of what made those bands worthy of the term “progressive”. Studying how the modern understanding of the prog genre has emerged, and what it entails, provides us with an interesting case of how the concept of a musical genre is constructed, and also points towards a discussion of how the broader concept of metal has been shaped throughout five decades. The advent of new genre terms such as post-metal and even post-progressive, also showcases how artists strive to rise above their own genre and play with its conventions – an interesting parallel to the development of meta-disciplines within philosophy. Today marks the debut of the Channel for the seminar series Topics in the Aesthetics of Music and SoundHERE. The first two items to be uploaded are the albums featured below in the January 25 and January 27 updates, now with soundtracks by Solbrud, used with permission. The majority of our seminars from 2014 have been recorded, those videos are under preparation for upload and soon will be uploaded. Many thanks to Johnny Harboe for spearheading the establishment of our the YouTube channel for Topics in the Aesthetics of Music and Sound. Abstract: This seminar will answer the question ‘What is Black Metal Theory?’ by addressing the formation, recordings and inscrutable legacy of Les Légions Noires (LLN) through Nicola Masciandaro’s ‘Labor, Language, Laughter’ (Sufficient Unto The Day, 2014). Drawing on Mikhail Bakhtin’s reflections on language in Rabelais and His World (1965), LLN’s carnivalization of speech will be posited as a form of verbal absurdity that succeeds in achieving what Masciandaro terms a ‘laughing laboring logos’ that ‘traces the tragedy of not not knowing’ through a medieval poetics that is characteristic in form to black metal theory, construed herein as ‘the working together of texts; the working together of these powers within individual beings; and the working together of persons,’ to distill, a monstrous hermeneutics that apophatically keeps open the question of human cognition (2014, 120; 118). 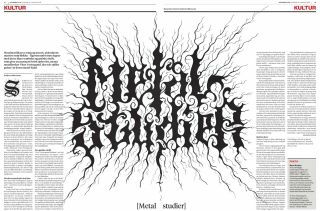 Recommended Reading: ‘Dominik Irtenkauf Interviews Edia Connole on Black Metal Theory,’ forthcoming in German Legacy (Dec 2014), available in English from Queen Mob’s Tea House HERE. An A3-size poster that shows all presentations is available HERE as a pdf file. For the entire program for the spring of 2015, please see HERE. Abstract: As a philosopher of music, I am intrigued by the concept of musical taste – also as it applies to metal music, much of which I happen to appreciate and actually enjoy. It is indisputable, however, that regarded as a broad musical genre, metal consistently ranks as among the very few types of music that most people, well, hate. A taste for metal is frequently treated as inexplicable. From a sociological perspective, these facts have been explained as a response to the music that arises from a judgment about its (perceived) audience. However, it is equally likely that metal fans endorse the music because they desire social distinction. It is also significant that metal fans recognize distinctions within metal, and these operate to signal taste alignments that function much like the social process that holds more generally between metal fans and non-metal fans. As such, it appears that metal fans (as opposed to casual listeners) are required to develop specific, distinctive, and highly refined musical tastes. The goal of this talk is to distinguish between distinctive tastes and aberrant taste, supporting the position that a taste for metal is not inexplicable as a development of musical taste. Here a photo album (Courtesy of Metal Mekka's Facebook page HERE) showing the opening of the exhibition Marks of Metal (see below) at Mediemuseet-Brandts in Odense, Denmark on January 15, 2015. Here is a photo album that provides a tour of the exhibition Marks of Metal (see below) open January 15 -May 31, 2015 at Mediemuseet-Brandts in Odense, Denmark. The exhibition Marks of Metal (see below) and the research connected with it received fine coverage in a two-page feature in the culture section of the Tuesday, January 20 edition of the national newspaper Information here in Denmark. For the online version, please see HERE (in Danish). All who are interested in this work are welcome to participate in the international seminar series Topics in the Aesthetics of Music and Sound - Mostly Metal this spring at The University of Southern Denmark - Odense ,Thursdays 3:15 p.m. - 5 p.m., starting on February 5. For a detailed schedule, please see HERE. Participation via Skype is also welcome.
. . . and here is TV2 Fyn's interview with Christophe Szpajdel on the occasion of the opening of the exhibition Marks of Metal at Mediemuseet-Brandts in Odense, Denmark on January 15 (please see the January 15 update below for more information). For more background in English, please see HERE. For the entire article in Danish in which this video appears, please see HERE. 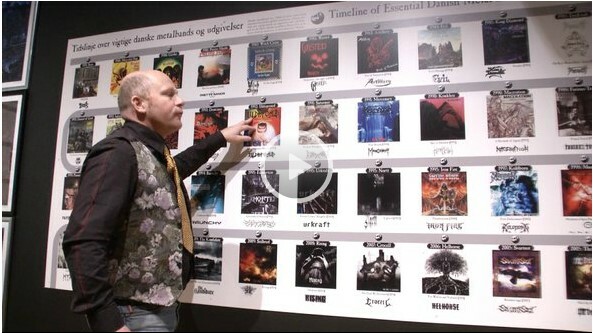 The exhibition Marks of Metal is open until May 31, 2015 at Mediemuseet - Brandts (link HERE) in Odense on January 15, 2015. Facebook event page HERE. The exhibition will feature work by internationally renowned logo artist Christophe Szpajdel, and is under the direction of Vitus Vestergaard. This is part of Vitus' ongoing research project in our program The Performances of Everday Living entitled Investigation of Metal Music and Visuals: Logo, Cover, Brand; for background, see HERE. A noteworthy feature of the exhibition opening on January 15 was that Copenhagen-based black metal band Solbrud (see HERE) performed from 7 p.m to 9 p.m. The opening of the exhibition Marks of Metal kickstarts the spring 2015 installment of the seminar series Topics in the Aesthetics of Music and Sound - Mostly Metal. The presentation titles and abstracts for all of the 13 seminars are available HERE. As always in this series, participation via Skype is welcome. An A3-size poster that shows all presentations is available HERE as a pdf file. Please visit JMM: Journal of Music and Meaning (www.musicandmeaning.net) regularly. JMM is an online international double-blind peer-reviewed journal based at The Institute for the Study of Culture/Institute for Kulturvidenskaber (IKV) at SDU. Cynthia M. Grund is Editor-in-Chief and Søren R. Frimodt-Møller is Managing Editor. JMM has a large international editorial board as well as a large international corps of peer reviewers covering a wide range of disciplines. JMM utilizes a policy of rolling submission and publication. The most recent update was on December 10 - the publication of the double-blind peer-reviewed article "Buñuel’s Liebestod – Wagner’s Tristan in Luis Buñuel’s early films: Un Chien Andalou and L’Âge d’Or" by Torben Sangild. Introduction: The SDU research program The Performances of Everyday Living (PEL) based at the Institute for the Study of Culture, widens the purview of The Aesthetics of Music and Sound - Cross-disciplinary Interplay between the Humanities, Technology and Musical Practice (AMS) www.soundmusicresearch.org. 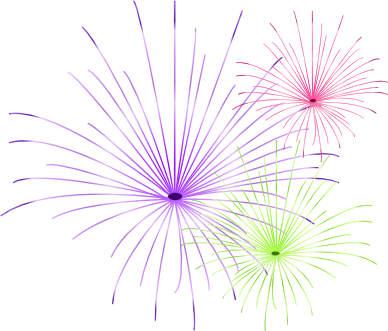 The official date for the launch of PEL was January 1, 2014. Research programs of this kind are established for three years at a time, in the case of PEL 2014-2016. AMS functioned 2006–2013 as a research program devoted to investigating music primarily in terms of information and communication. AMS continues to exist, but now functions as a background milieu for PEL, where PEL moreover examines cultural, physiological/anatomic and institutional preconditions and implications of the appropriation, use – and meaning – of music. These are compared and contrasted with the corresponding preconditions and implications for the appropriation, use and meaning of art, food and physical culture/exercise. By coordinating research areas as disparate as these, we hope to provide increased understanding of central activities which invoke a participatory aesthetic in the life and experience of modern humans. These activities are constructively contrasted and compared as species of performances. The relevance of performance as an integrative perspective appropriate for this research has been clearly demonstrated within NNIMIPA: Nordic Network for the Integration of Music Informatics, Performance and Aesthetics (www.nnimipa.org), an SDU-based research network that has functioned in parallel with AMS since 2007. Projects: Here is a representative selection of projects that either were in progress or under development as PEL became officially established on January 1, 2014. Examines connections between authentic artistic performance, musical appropriation, "natural" movement and proprioception. Explores "sensuality" in a Middle Eastern, Islamic perspective in compared with a Scandinavian, Lutheran one, as manifested in the food, art and music practices of the respective cultures. Methods of psychometric validation are explored and employed. Why is a style of music so fixated upon themes of death, nihilism and self-destruction the preferred conduit for aesthetic self-expression for so many in this, the supposedly happiest of all areas on earth? How does its appeal relate to dark Romanticism and dissonant properties of music and imagery? Comparison and contrast of the roles food and music play as potent regulators of our moods and emotions as the latter influence our experience of meaningfulness and significance in our daily lives. This project concerns itself with the investigation and development of performative, participatory and immersive techniques in music pedagogy and in the use of music in pedagogy in general. During 2015 our primary focus is onMetal Music and Culture. Members: Membership in the Core and associated members work at the Institute for the Study of Culture at SDU; see here. Affiliated members come from relevant external milieux: More information about the roles played by individual group members may be found on their project pages on this site. 1. Claudio Cifuentes Aldunate. See also project page. 2. Mogens Davidsen. See also project page. (research director/forskningsleder). See also project page. 4. Vitus Vestergaard. See also project page. 12. Matthias Bode, Assoc. 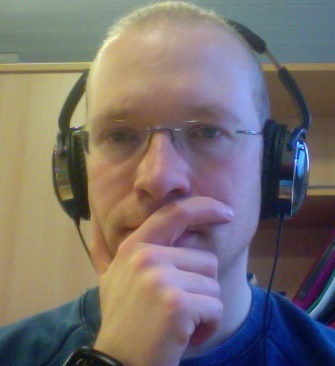 Prof., Marketing and Management, SDU (Acoustic branding). 13. Kasper Hafstrøm Bøg, Kommunikatør & projektleder, Syddansk Musik og Skuespillerskole- SMKS. 14. 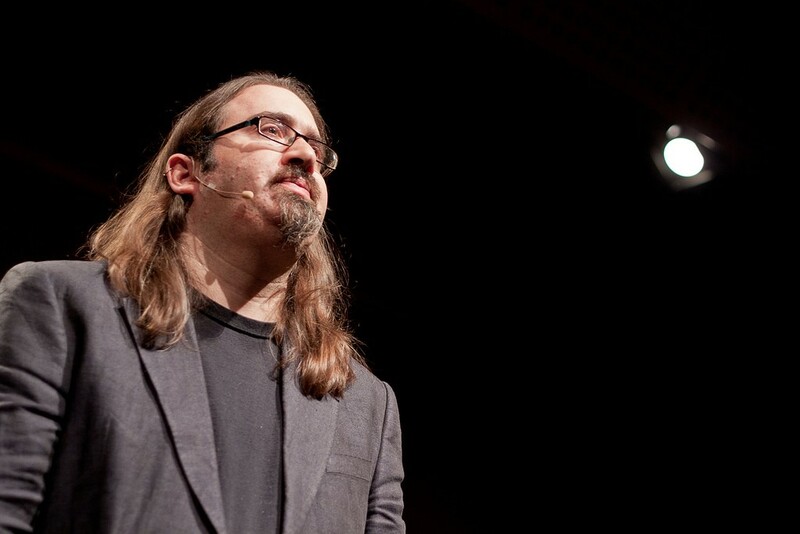 Erik Christensen – PhD, Aalborg U 2012 (Neuroscience/music therapy). 15. Jakob Christensen Dalsgaard, Assoc. Prof, Biology, SDU. 16. Søren R. Frimodt-Møller, Asst. Prof., Dept. Of Architecture, Design, and Media Technology; Aalborg U-Esbjerg (Media, philosophy and music). 17. 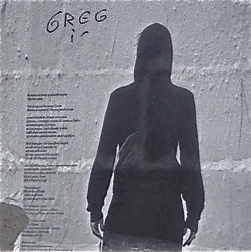 Helene Gjerris – Prof. & vocalist, SMKS, (Performance studies). 18. Kristoffer Jensen – Assoc. Prof., Dept. Of Architecture, Design, and Media Technology; Aalborg U-Esbjerg (IT and music). NNIMIPA Coordinator, Aalborg U-Esbjerg. 20. Michael O’Boyle – Prof., Texas Tech U - TTU (fMRI/neuroscience). 21. Mika Sihvonen -Senior Researcher in The School of Information Sciences University of Tampere, Tampere, Finland. NNIMIPA Coordinator, UTA. 22. Christophe Szpajdel, logo designer, Belgium. 23. Niels Ullner – Prof. & cellist, SMKS (Performance studies). 24. 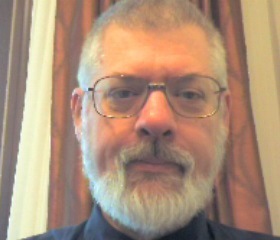 William Westney – Prof., TTU. Expert piano performance. 25. James Yang – Asst. Prof., TTU. Motion capture. 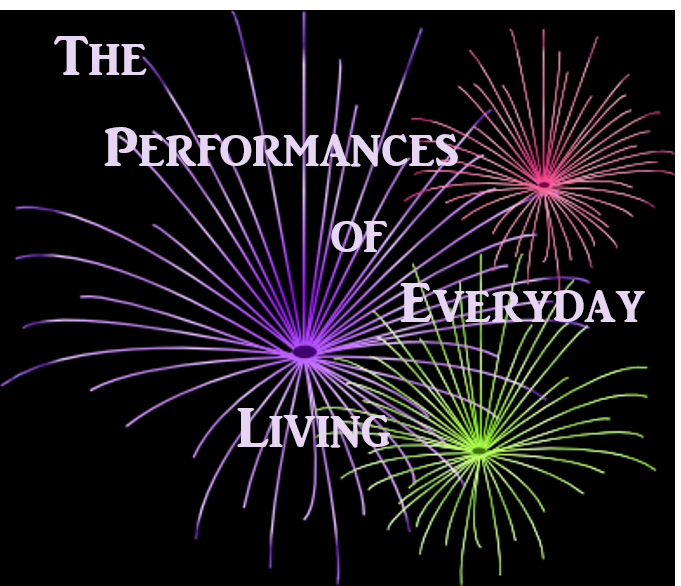 Please visit us frequently here on our site to follow the development of the research program The Performances of Everyday Living. the goals and background of AMS are described HERE. Nordic Network for the Integration of Music Informatics,Performance and Aesthetics (Supported by NORDPLUS 2007-2010; a research network under NordForsk September 1, 2010 - June 30, 2014.) At the conclusion of the NordForsk grant, www.nnimipa.org became an archival site that provides extensive documentation of the activities within NNIMIPA 2007-2014. The contacts that were established among researchers in the Nordic area and beyond through NNIMIPA have resulted in myriad cooperative research efforts. A significant number of these efforts continue to develop and are documented here on www.soundmusicresearch.org. For information about addtional networks with which the research program is affiliated, please see the menu tab labeled Research Networks. Research Director for The Performances of Everyday Living.